From Real Life To Reel Life: Noem My Skollie – the true story of a young man in 1960’s Cape Town who became a storyteller in jail. 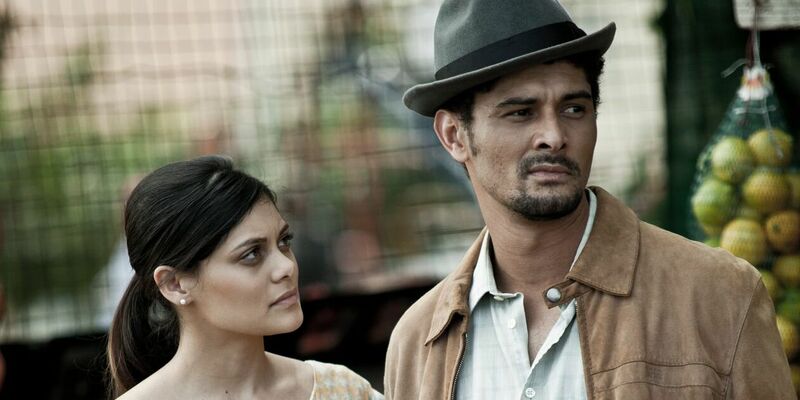 28 August 2016 by Daniel Dercksen·Comments Off on From Real Life To Reel Life: Noem My Skollie – the true story of a young man in 1960’s Cape Town who became a storyteller in jail. The riveting Noem My Skollie delivers on the themes of friendship, betrayal, forgiveness, acceptance, the desire for a better life, hope and love, and is set on the Cape Flats and in Pollsmoor prison, based on the life of John W. Fredericks, who also wrote the screenplay at the age of 60. John W. Fredericks, started writing on his release from prison after participating in a creative writing class sponsored by the ATKV in the early 70’s. At the age of 50 he left his job as a security guard and began writing the screenplay based on his own life story. Noem My Skollie, currently on circuit in South African cinemas has been nominated as South Africa’s official selection to the 89th Annual Academy Awards (Oscars) in the category for Best Foreign Language Film Award. Competition this year for the coveted nomination to represent South Africa was intense. This is a remarkable achievement for Daryne Joshua’s first feature film. The Producers, David Max Brown and Moshidi Motshegwa and their partners who supported the financing of the film at the NFVF, kykNET, Mnet and the distributor Ster Kinekor Entertainment, are absolutely thrilled with this news and are proud that the film deserved the accolade and confident that it will earn the Academy’s further nomination. To date the film has been seen by over 32 000 people in South Africa. “Noem My Skollie’s great Box Office performance has now been crowned with the nomination as South Africa’s entry into the Oscars, we are extremely proud to have been part of getting this amazing film on to SA screens and are excited about the continued potential in our market and on the global stage”, says Mario Dos Santos, Chief Executive Officer – Ster Kinekor Entertainment. Noem My Skollie tells the true story of a young man in 1960’s Cape Town who gained his status in jail by telling stories and becomes the “prison cinema” but on his release is set to hang when indicted for a murder he did not commit. Fredericks, left school as a teenager and spent many years of his youth in jail. The title of the film plays on the old adage that one should not judge a book by its cover and promotes the view that everyone has a gift even if sometimes hard to find and even if that gift comes at a price. Noem My Skollie tells the story of four teenagers, AB (Austin Rose) and his three best friends Gimba (Ethan Patton), Gif (Joshua Vraagom) and Shorty (Valentino de Klerk) who grow up on the impoverished ganglands of Cape Flats in the 1960s. Despite their circumstances, the children try to avoid the gangsters who infiltrate their daily lives but when AB goes through a traumatic experience they decide to form a gang to protect themselves. The four friends, now like brothers, do not commit serious crimes, but the police keep a close watch on them as they grow from teenagers into popular young men. Eventually the now older AB (Dann-jacques Mouton) and Gimba (Gantane Kusch) are arrested whilst breaking into a shop and sentenced to two years in jail. When AB is released from prison he picks up on the relationship with his beautiful childhood sweetheart, Jenny (Tarryn Wyngaard) and so tries to focus on writing his stories to impress her, but his gang friends persuade him to join them one last time, a decision that leads to shocking consequences for all of them. Noem My Skollie marks the first time in South Africa that a film has been set on the Cape Flats in the world of the coloured people that is told by coloured people themselves in the Afrikaans language widely spoken in the Western Cape. Most of the people who speak Afrikaans as a home language in South Africa are in fact coloured. Daryne Joshua is a talent to look out for. 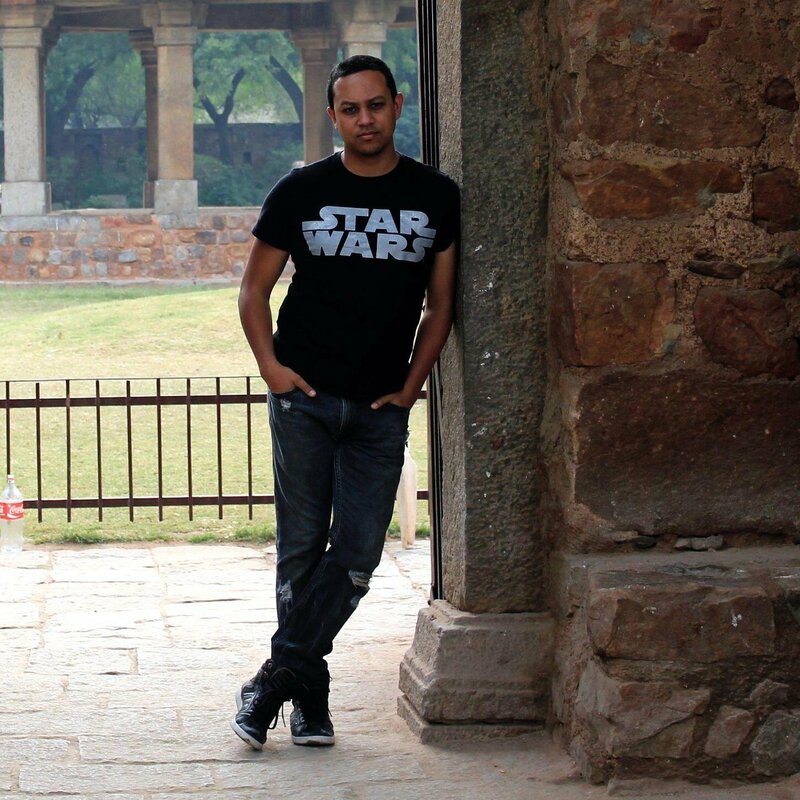 As writer, director and visual artist, Daryne’s life has been shaped by visual storytelling, from the age of seven when he wrote, illustrated and sold his own comics to his recent accomplishments in directing Television for KykNet and Mzanzi Magic and his successful short films as either writer or director or both. Both the writer and director are coloured and grew up in the townships of the Cape Flats as did many of the cast and key crew such as the production designer, art director, sound recordist and the composer. More than 60% of the people who speak Afrikaans as a home language are coloured. The screenplay that John W. Fredericks has written is culturally specific but it is universally understood and highly emotional. Most importantly it is based on his own life, written by a man who was already considered a “write-off” in his early teens. Now as he approaches 70 years of age and after spending time on death row in the 60’s John still types with one finger and still lives on the notorious Cape Flats. This is truly a South African film for all South Africans, young and old and across all racial divides and will have strong international sales potential and festival appeal. The theme of the film is “You can’t judge a book by its cover” and hence the ironic title, “Noem My Skollie” – (“Call me thief”) since even the thief who becomes a storyteller and eventually a creative writer is still labelled a thief. Noem My Skollie is not a ‘gang’ movie but is rather a coming of age tale about a gifted storyteller. Independent producers David Max Brown and Moshidi Motshegwa produced the film with finance from Mnet, the NFVF, and the DTI. David is an accomplished producer but this is his first feature film. Moshidi is an accomplished actress best known in South Africa for her role as Naomi in Rhythm City and internationally as the Slave Queen on Black Sails, this film marks her first time to venture into producing. When AB (Dann-Jaques Mouton) is released from prison he picks up on the relationship with his beautiful childhood sweetheart, Jenny (Tarryn Wyngaard) and so tries to focus on writing his stories to impress her, but his gang friends persuade him to join them one last time, a decision that leads to shocking consequences for all of them. “In our township there were no heroes. Our idols were old street fighters, who settled their scores in bloody bare-fisted brawls on the streets of the town. This film will resonate with all South African audiences but particularly those who are able to confront the violent reality of the world of the story and are willing to celebrate the triumph of the human spirit.